Hungry and wanting to eat something “yummy”, we turned to El Edén restaurant where we would have the opportunity of tasting the culinary creations of Chef Carlos Carrión. Surprisingly, no one there knew who Chef Carlos was, but they did know Mister Carlos. It is so because this experimented talent has been working for 16 years as a science teacher in the public school system in Culebra. Professor by day and chef by night, his culinary skills have been part of a long family tradition. Nonetheless, for Mister Carlos being a Chef as a profession was very peculiar. Back then, there were no specialized schools so you had to leave Puerto Rico in order to develop a career. He saw it as a tough life he experienced firsthand growing up. Because of this, he studied to be a professor of mathematics, with a concentration in science. This career would eventually bring him to Culebra. In the Island, he rediscovered his love of food. So now there we were, ready to discover his love. Mister Carlos’s menu is a mix between Caribbean and Italian. We start off with fried risotto balls stuffed with shrimp. 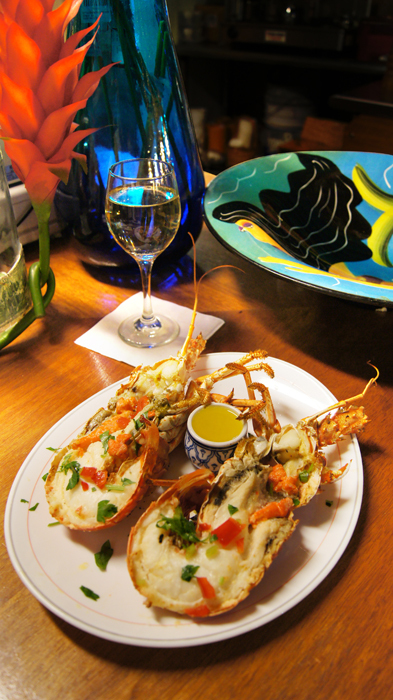 The perfect balance between crunchy and creamy, Mediterranean and tropical highlights the italian-caribbean influences. We observed as dish after dish went by our table. Each of them with looked exquisite. 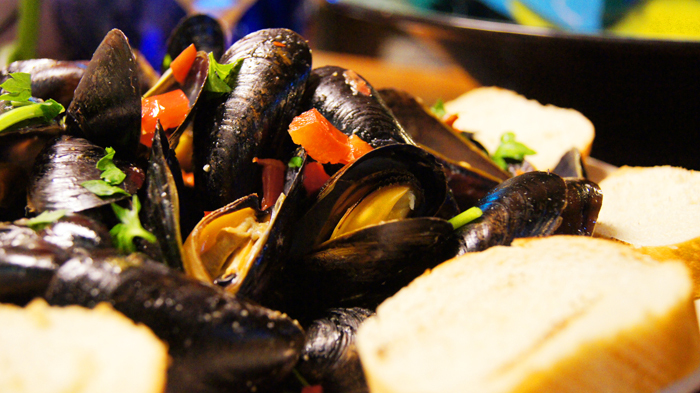 We saw mussels in white wine sauce, lobster risotto, fried snapper and seafood pasta. All of them made our mouth water. The swordfish with zucchini pasta not only awakened our curiosity but also our appetites. The breaded fish held its own against the julienned zucchini disguised as al dente pasta. Accompanied by fresh grated mozzarella and a glass of one of over 40 wine alternatives El Edén offers, this entrée silenced everyone that was at our table. So now there we were, ready to discover his love. Mister Carlos’s menu is a mix between Caribbean and Italian. We start off with fried risotto balls stuffed with shrimp. The perfect balance between crunchy and creamy, Mediterranean and tropical highlights the italian-caribbean influences. We observed as dish after dish went by our table. Each of them with looked exquisite. We saw mussels in white wine sauce, lobster risotto, fried snapper and seafood pasta. All of them made our mouth water. The swordfish with zucchini pasta not only awakened our curiosity but also our appetites. The breaded fish held its own against the julienned zucchini disguised as al dente pasta. Accompanied by fresh grated mozzarella and a glass of one of over 40 wine alternatives El Edén offers, this entrée silenced everyone that was at our table. Wherever you run into Mister Carlos, either at a classroom or a kitchen, his passion for what he does is evident. In the food’s case, that passion translates into exquisite dishes prepared with dedication at El Edén. We invite you to try them and let us know what you think. Flavors from the Backyard of Jennifer Daubon. The Secret Recipe of Zach Sizer: Culebra with a Mexican flair. From Catalonia to Toulouse, from the Eiffel Tower and Saudi Arabia to Culebra; the world has no limits for Chef Josemaría López. At Susie's Restaurant, Chef Susie Hebert entices us with her decadent food. 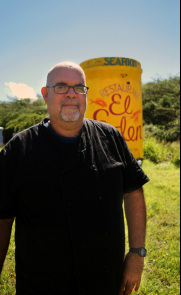 Chef Carlos Villa takes us on a culinary journey with his creations. Copyright 2010 by En Culebra. All rights reserved. No image or content may be used for any purpose without written permission. To do so is a violation of applicable copyright laws.